Based on a terrifying true story this shrewd remake of the seventies horror of the same name is inspired by the unsolved 'Moonlight Murders' that took place in the American border town of Texarkana in 1946. 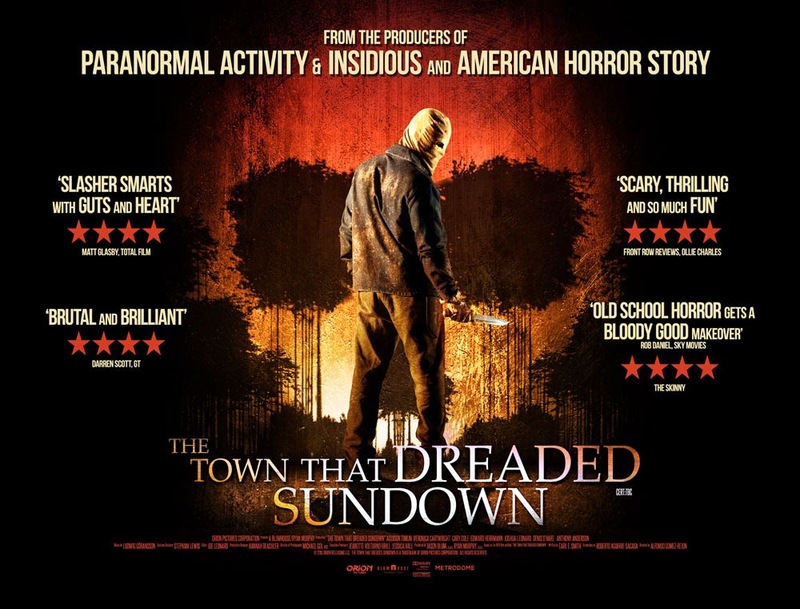 Set in a world where the original film exists and is very much part of the public consciousness, The Town That Dreaded Sundown picks up 65 years later, where the quiet streets of Texarkana are once more plagued by a masked maniac who bears a striking resemblance to the same Phantom Killer who wreaked havoc decades earlier. Is it a copycat crime? Has someone seen the original film too many times, or is it something even more sinister? A lonely high school (Addison Timlin), with dark secrets of her own, may be the key to catching the murderer.